Naga Chaitanya's "Oka Laila Kosam" ("OLK") has received decent reviews from critics. Directed by Vijay Kumar Konda of "Gunde Jari Gallatayyinde" fame, "OLK" is a romantic comedy entertainer with Naga Chaitanya and Pooja Hegde in the lead roles. The film also has Brahmanandam, Ali, Suman, Sayaji Shinde, Prabhu, Ashish Vidyarthi and Nassar in supporting roles. Anoop Rubens has composed the songs, while Annapoorna Studios has produced the project. Plot: Karthik (Chaitanya), a rich guy, falls in love with Nandu (Pooja Hedge) at first sight. One day he proposes to Nandu but she rejects him as she has had bad experiences whenever they met. Unexpectedly, both Karthik and Nandu's families fix their marriage. And how Karthik wins Nandu's love forms the crux of the story. Critics have given decent feedback to "OLK", terming it as a clean entertainer. The performances of the actors, the first half and the twist in the second half are the major plus points of the film. On the flip side, the film is predictable and has a dragging second half, the critics stated. 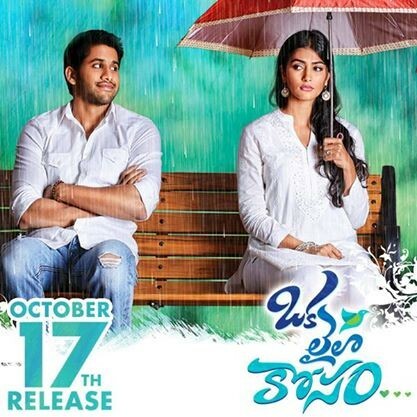 Here is the review roundup of "Oka Laila Kosam"
"Coming to the director Vijay Konda, one can say that he has not managed to evoke the entertainment when compared to his debut film Gunde Jari Gallatayyinde. His screenplay is quite weak in the second half, as he fails to sustain the positive buzz that he creates during the first half," according to 123telugu. Performances: "Naga Chaitanya is just okay in the lead role. He is still struggling to get right expressions in emotional scenes. He is alright in the teasing scenes though. Pooja Hegde is good in few frames and average in few angles. Her performance is fine for a debutante," said Gulte. "Suman as strict father is good and it is refreshing to see Sayaji Shinde as the doting father of heroine. Ali's comedy worked in parts. There isn't much to write about other supporting cast," the website stated. Technical Aspects: "Anup Rubens's songs & background score were good enough. Cinematography is appreciable. Dialogues were nice. Editing could have been better. Art Direction and production values are fine," according to AP Today. "It is a typical romantic comedy complicated by the dragged 2nd half and different treatment to it. The 1st half is largely cool and is adequate. The film which hits a mini climax in interval is pretty average from then and remains the same in climax too," said OM of Andhraboxoffice. "It is fairly good try since the director choose to do at-least a few things differently but just that they haven't come out convincingly in the end," according to the website. "OLK is a film where Chai shows flashes of good talent once again after Manam. However, barring a few well-crafted scenes and nice visuals, the film lacks a strong story to keep the story going," according to Indiaglitz. Game of Thrones season 8: Night King to marry Daenerys Targaryen?